Kingman and it’s in-yard restaurant – The Chartroom has been the first Dock and Dine venue for virtually everyone I know in Buzzards Bay. Don’t get me wrong, The Chartroom is a such a great destination. maybe even iconic, but it’s its association with Kingman Marine that makes it work so well for first timers. Kingman maintains over 100 slips and even more moorings. Other than summer weekends, you can usually just pull up and hail them on Channel 71, and tell them you want to tie up and have lunch at The Chartroom. One of the things that makes Kingman so easy for first timers are the dockhands who tie up your boat. Most of the time, they’ll direct you to the gas dock (on the right) and then shout out your mooring instructions. They have amble deck hands who will grab your boat and tie you up for lunch for a mere $20 ($15 for 3 hours, $5 back if you stay less than an hour, and of course, a $5 tip for the able dock hand). On those particularly busy days, you’ll need to arrive early to assure yourself space at the dock. If the dock is full, Kingman will tell you when you hail them and direct you to one of their moorings. Once moored, just hail them again and they’ll send out one of their first class launches to ferry you to shore. For 2017, Kingman has updated all their floats and installed excellent rub rails making boat fenders almost a luxury (I say almost because I never trust a rub rail to not leave a mark). Not only does the Chartroom offer authentic Cape Cod fare, killer cocktails, and near perfect docking for next to nothing, it also sits in a spectacular location. Red Brook Harbor is fully protected by Bassetts Island, making it a great escape venue from all points in Buzzards Bay on even less than perfect days. It is a little tricky getting around Bassets Island but it’s nice that you can get into Red Brook Harbor through either side of the island. Fair warning, while the channel is plenty deep, it’s very narrow and not that easy to follow, so pay attention. That said, there are very big yachts frequently docked at Kingman so here is plenty of water as long as you stay in the channel. I prefer to enter on south side of Bassetts and exit to the north. Remember the old adage, “red right returning” and you’ll be fine. Since you’re not returning, just keep the red nuns to your left and hug the green cans on the right. Be advised that the sand bar on your port side comes out quite a bit and it’s not uncommon the see people standing in knee deep water 50′ from the channel! As you enter, you’ll find some great anchorage to your left behind Bassetts. This area is packed during the summer, but be aware, there are rocks lurking everywhere. Since Vigilant is an inboard drawing almost 4 feet, I avoid the anchorage to the south and head north where larger boats are frequently seen. Once you clear the corner, you’ll see Kingman at the end of the harbor and if you look closely, you’ll see a series of red and green locally maintained channel markers in between the moorings. 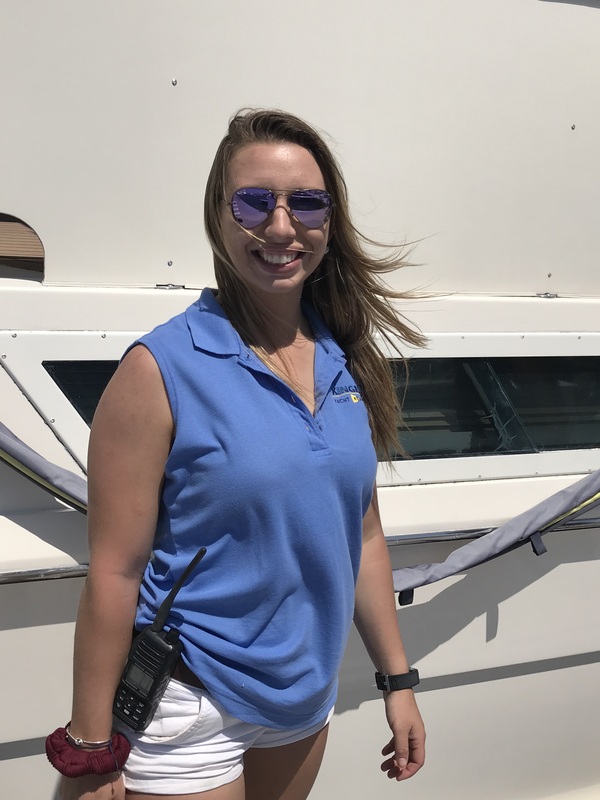 If you have a bigger boat, hail Kingman Marine on Channel 71; if you have something under 30′, just head for the gas dock on the right and shout to the first person you see in a light blue polo. If you were fortunate enough to land a spot at a pier, you’ll want to give a little thought to your departure route before you cast off. Typically, the Buzzards Bay afternoon wind is blowing you back toward Kingman and the dock. This is where the dock hands really come in handy, but be ready to beat a hasty departure as soon as your bow is pointing south. As you can see in the chart above, there are are two narrow channels in and out of Redbrook Harbor. I like to come in on the south channel and leave to the north. Not only do you get to show your guests all the sights, but if the wind is blowing out of the south, you’ll hit it head on and spare everyone a little side spray.